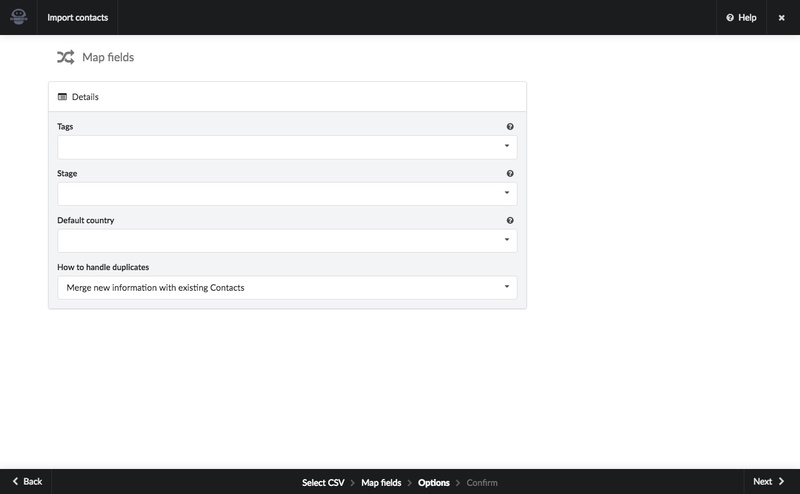 From the top right of the Contacts section you can choose to add a single contact and import multiple contacts. Tip: It is important to ensure that the contacts you add have given you permission to contact them. Click the 'Import contacts' button and you are taken to a multi step import wizard. 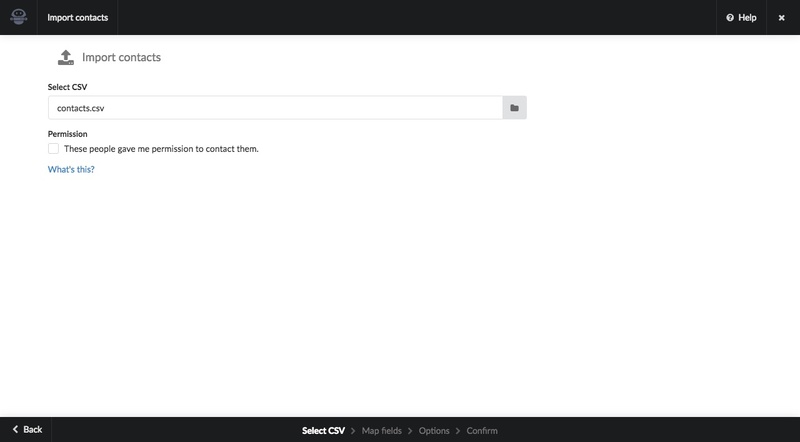 Browse to the CSV file on your computer and select it to upload your contacts. Then you need to confirm that the contacts you are importing have given you explicit permission to contact them. 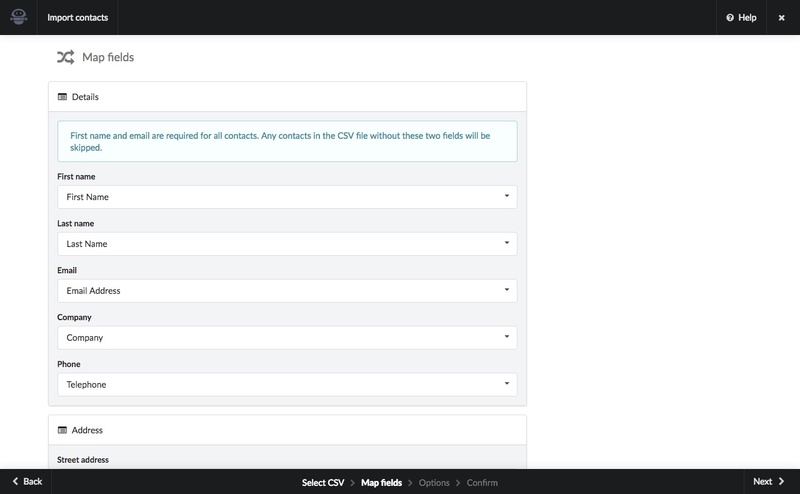 The next step is to map the fields in your CSV file to the contact fields Jumplead is looking to populate. 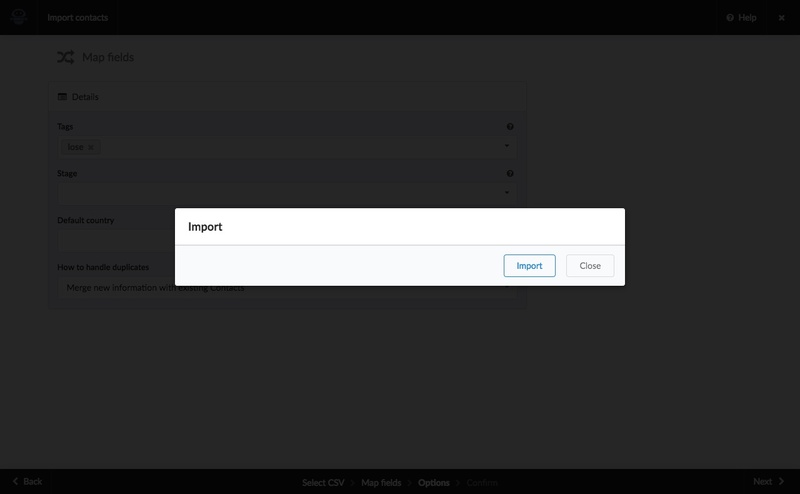 When importing contacts, you have the option of adding a Tag to each contact, adding them to a particular stage, and setting a default Country as part of the import process. 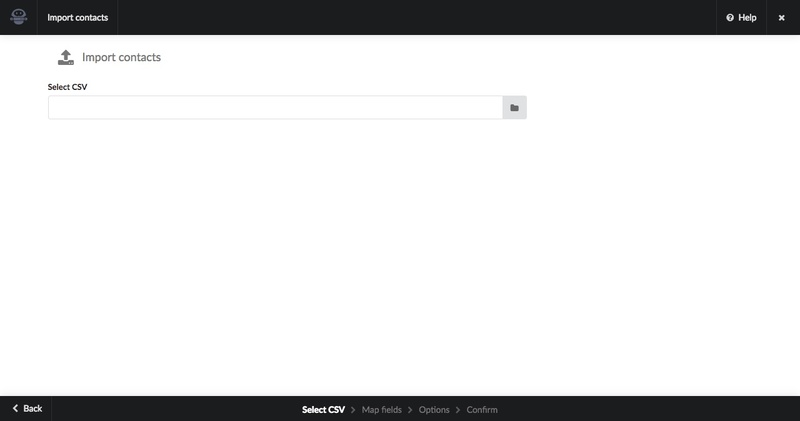 If there are any fields missing from your CSV just leave them blank. First name, Last name and email address are the minimum fields we need to create a Contact. You'll then be given a final confirmation to continue with the import.